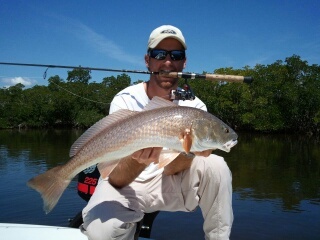 Fish from the edge of the Gulf of Mexico to the backcountry creeks and channels deep in the mangrove islands. The inshore waters of Boca Grande are known for their wide range of fish species and picturesque vistas. Primary targets are Snook, Redfish, and Spotted Seatrout. Common other catches while fishing inshore are Mangrove Snapper, Sheephead, Mackerel, Pompano, Sharks, Grouper, and Flounder. Fishing is done with light tackle spin gear using live bait. 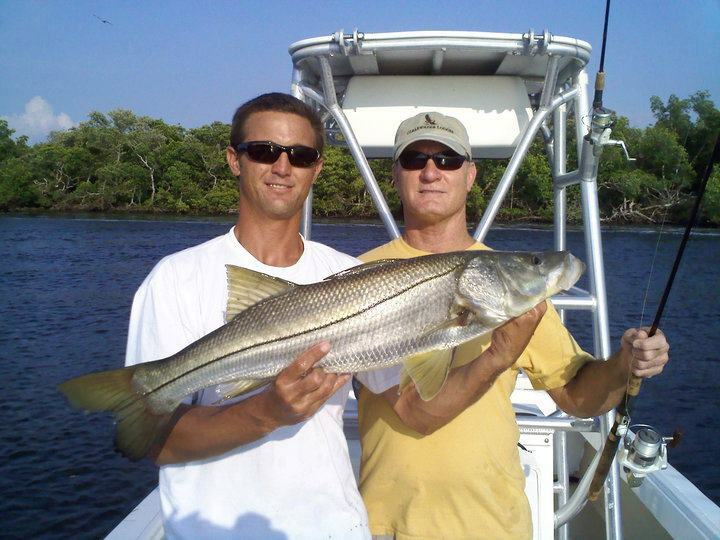 Ride with up to 5 people in a comfortable 222 Aquasport and fish the nearshore waters of Boca Grande, Florida. Got the Itch to Fish?